How Important Is Rail Siding To Your Logistics? 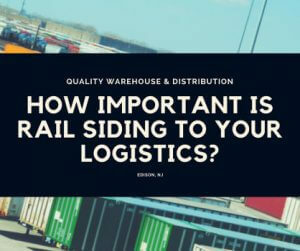 When considering how best to manage your resources, a third-party logistics company may offer you rail siding instead of trucks as a promising shipping alternative. Rail siding is a section of railroad tracks that promotes lower speeds and connections to the main line. Because they consist of lighter rails, siding involves less traffic and fewer signals compared to the main track, which makes them optimal for unloading and loading rolling stock. And to better service customers, two types of rail siding exist: outdoor and indoor. The outdoor option allows freight to specifically ship to a warehouse where staff can unload its contents quickly and efficiently. Large quantities can be shipped this way, making the process easier and more cost effective. On the other hand, indoor rail lines drop the freight right inside the warehouse where staff can load and unload. This is a great option if available since your cargo will be better protected from the weather and arrive intact. You also won’t have to worry about security as the cars will be under the same protection as the building. Plus, you can eliminate the distance from line to warehouse, creating a faster process. Rail siding can give you better efficiency, productivity and even save you money. Using this truck alternative with a 3PL can deliver you countless advantages toward growing a successful supply chain. Just one rail car can carry as much as three to four trucks at a given time. Not only will a good portion of your freight be delivered at the same time, but you’ll also be saving on fuel costs using siding instead of trucks. Your freight can be delivered right to the warehouse, eliminating the need for short haul trucks to act as the middle man. Warehouse staff can quickly unload cargo from the line and store it on the shelves in just one simple process. Having the convenience of your cars being delivered right to the warehouse allows workers to easily place pallets and shipments on the shelves while keeping track of logistics. This means that your goods can be sent out to customers ASAP, allowing you to continue generating revenue without delay. Weather and traffic jams hardly impact railroads compared to road vehicles. Plus, trains provide more stability than road trucks when carrying heavy cargo. In other words, trucks can easily overturn or breakdown whereas rail siding will not. Therefore, you can have greater confidence in your freight getting from point A to point B safely and securely using siding. Using rail instead of road trucks minimizes your company’s carbon footprint. Since trucks emit more carbon emissions than rail, your environmental impact will be minimal while saving you from overusing fuel. Working with a 3PL that offers rail siding can provide even more efficiencies than before. This transportation method increases productivity, lowers costs, and speeds up processes while still being environmentally friendly. Rail gives you greater flexibility in your supply chain without sacrificing time and money. Plus, moving goods from your warehouse to the customer promises faster conversions and opportunities for greater revenue. The importance of rail siding to your logistics can’t be emphasized enough. 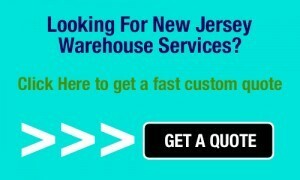 If you think your company could benefit from this mode of shipment transportation, get started right now!